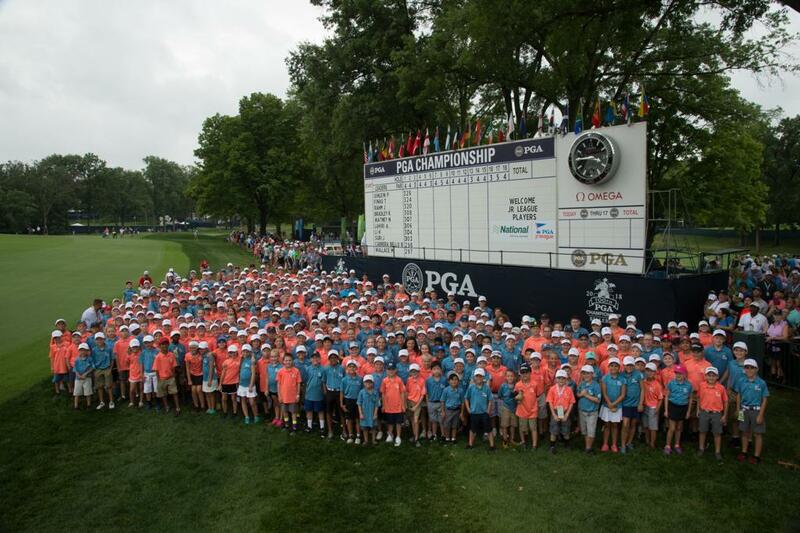 PGA Jr. League players from the Gateway PGA Section have helped kick the 100th PGA Championship off in style! 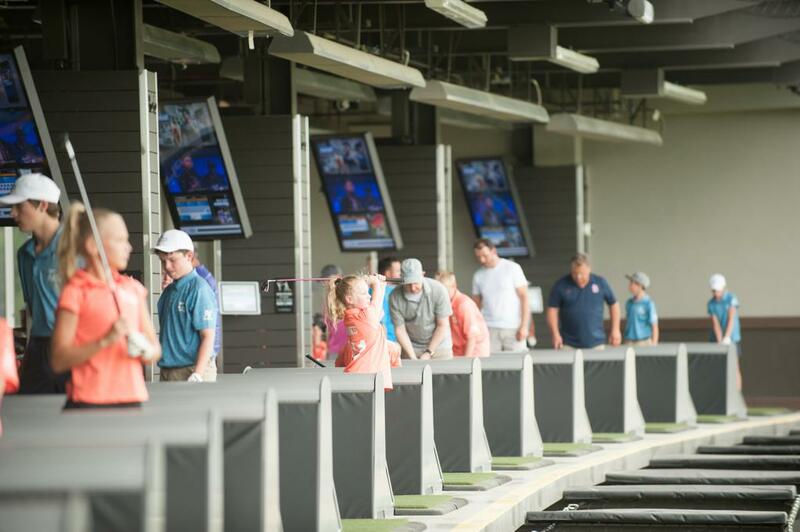 First, our Official Partner National Car Rental hosted a night at Topgolf St. Louis with 70 local PGA Jr. League players. 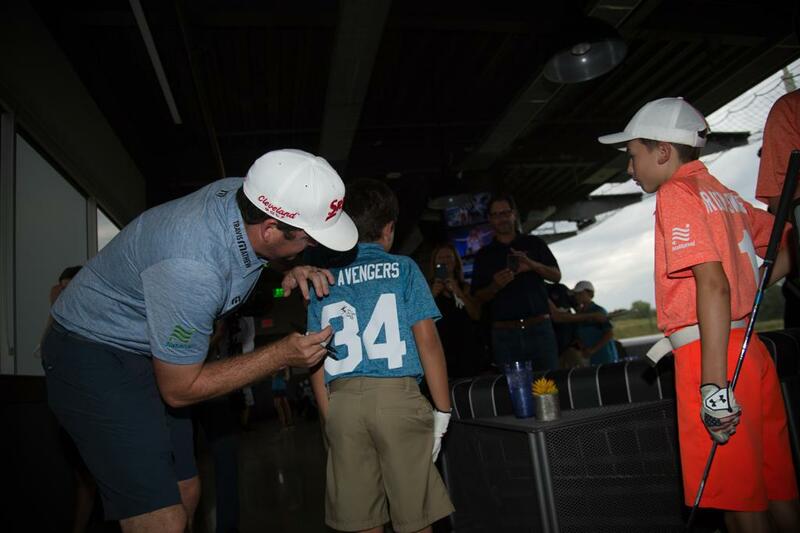 There was even a surprise visit from 2011 PGA Championship winner Keegan Bradley! The rain couldn't put a stop to festivities Tuesday! More than 600 girls and boys attended PGA Jr. League Day at the 100th PGA Championship at Bellerive Country Club. 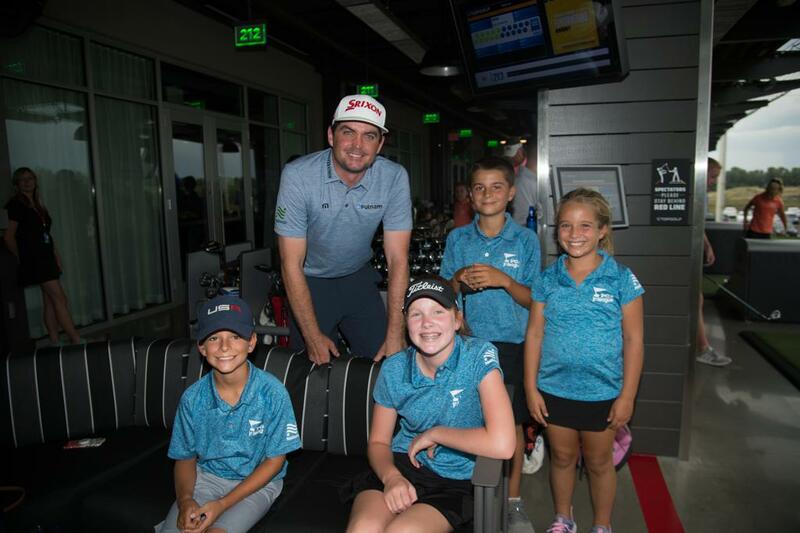 Both the kids—who represented 113 facilities across the Gateway PGA Section in Missouri and Illinois—and the players had a blast. It was cool being able to interact with the players and being that close to a professional golfer…I hope I can do it again. It was so exciting! 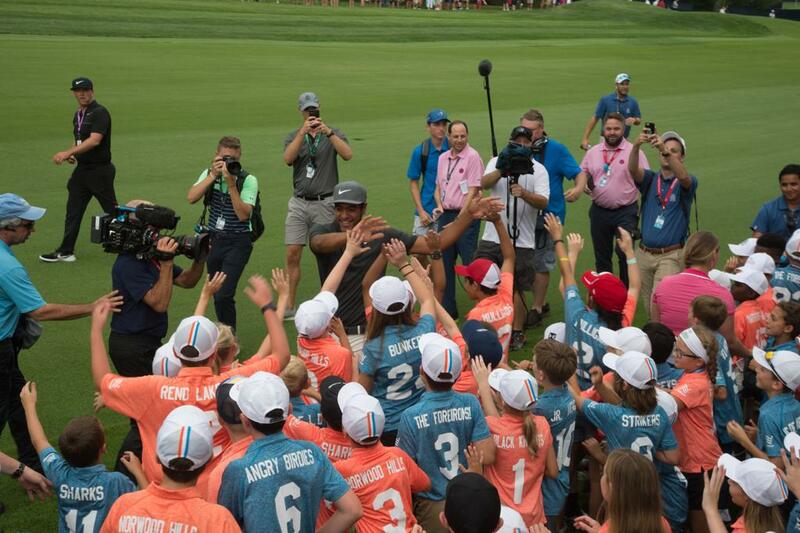 Tony Finau gives a round of high fives to PGA Jr. League players. 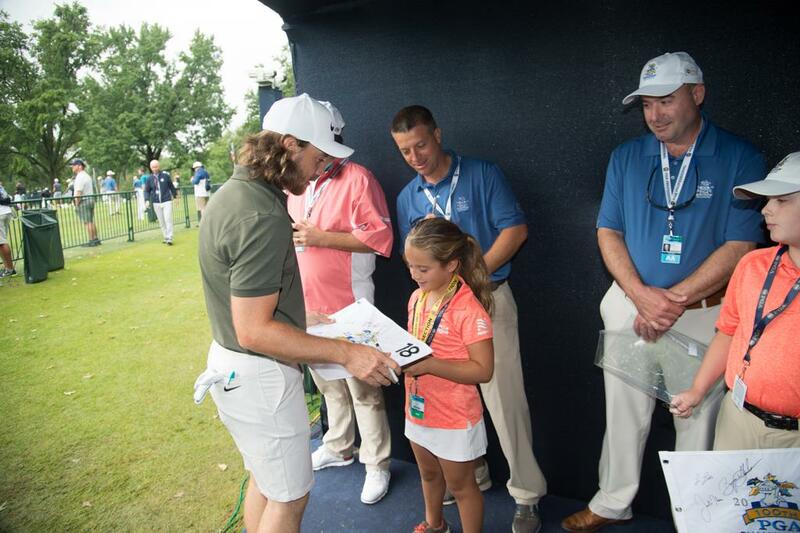 Tommy Fleetwood signs autographs for PGA Jr. League players.